"I backed up my iPhone 6 Plus on Mac and deleted all settings after my iPhone 7 Plus arrived. I connect my new phone to iMac so I could put the backup on it. Then iTunes asked for the password to restore my new phone with backup form my iPhone 6 Plus. Anyone knows how to unlock backup password in iTunes that never set?" People use iTunes passcode to protect their backup information from spying or stealing. But recently, many users have complained in the Apple Discussion that iTunes asked for a password that they never set when restoring from the backup. Thus, they cannot access the backup files or perform any operation. To help people unlock iPhone backup files and extract data easily, iPhone Backup Unlocker can be the first choice. Free download this amazing software to remove iTunes backup encryption password within seconds. Decrypt iPhone backup with known password is the first thought when facing this issue. Sometimes you can just access to the backup files on iTunes with iTunes Store password. If that fails to work, consider your Apple ID password or Windows administrator password. In case you have no luck, search for the password used to encrypt the backup in user's keychain. Step 1. Run 4uKey - iTunes Backup on your computer and select "Retrieve iTunes backup password" from the main interface. Step 2. Then all iTunes backups on this computer will be listed. Select the backup you wanted to unlock by double-clicking it. Step 3. Now you can see 3 attack types available on the main interface: Brute-force Attack, Brute-force with Mask Attack and Dictionary Attack. Choose the most suitable type according to yourself. Step 4. Click on "Start" to recover your lost iPhone backup password. This process will take a few minutes, after that, the program will display the password in a pop-up window. 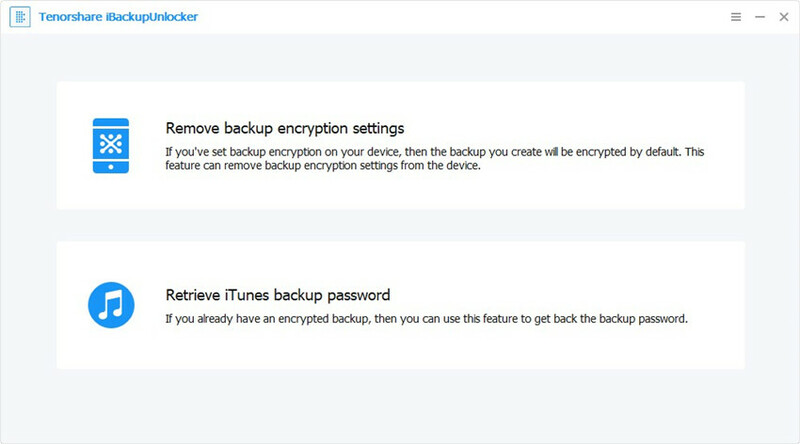 Another to reset forgotten iTunes backup password is resetting all setting on iPhone. In this way you still cannot restore data from your old encrypted backup file but you can backup iTunes again and set a new password. Step 1: On your iPhone, go to Settings -> General -> Reset. Step 2: Tap Reset All Settings, then enter your iOS passcode and confirm to reset all settings. By far, you've successfully unlocked iPhone backup password in iTunes successfully. 4uKey - iTunes Backup really did a great job in cracking iTunes backup password, doesn't it?